In yesterday’s Mid-Term elections, millions of Americans casted their votes. Some were motivated by a “Blue Wave” and a chance to check the powers of an administration often seen as contentious or divisive. Others took the polls galvanized by the blue wave’s possibility, determined to retain conservative control in our nation’s political offices. Now, over 24 hours after polls closed, it’s time for a recap. First it’s actually worth asking: Was there a blue wave at all? Republicans have gained three seats in the Senate at the time of this writing, meaning they’ll enter 2019 with a 54-seat majority. Republicans will retain more governorships than Democrats, too. But Democratic gubernatorial candidates managed to flip seven new states. Two of those states, Michigan and Wisconsin, were won by President Donald Trump in the 2016 Presidential Election. The House of Representatives’ elections told a more direct story. Democrats flipped 29 seats while ceding only one, meaning a net gain of 28 seats in the House. That’s enough for a majority starting in 2019, and an entirely different political landscape for the second half of Donald Trump’s presidential term. There was a blue wave after all, and it struck the shore hardest in the House of Representatives. 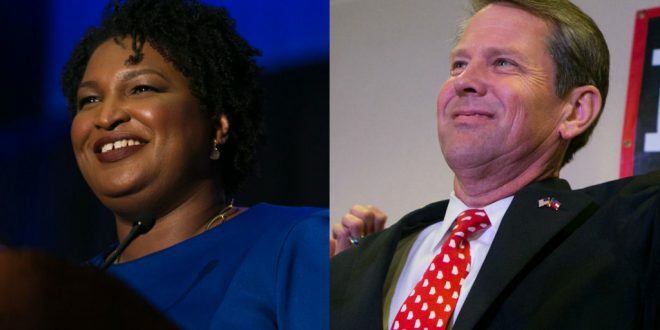 In Georgia, Stacey Abrams and Brian Kemp’s race for governor is still not technically decided. At the time of this writing Abrams has also not yet conceded victory to Kemp, but all indications point to a Republican victory in the Peach State. It may take days for all absentee ballots to be counted, but it’s unlikely there are enough out there to bring the totals close enough for a runoff. Most other state offices were Republican victories. The Secretary of State election’s results indicate a likely need for a runoff. Finally, reviewing voting results and county-by-county data presents us with a clear picture on at least one thing: The lines by which we are divided remain intact. As with recent past elections, Georgia’s major urban centers (Atlanta, Augusta, Columbus, Macon and Savannah) along with Athens, home of the University of Georgia, generally lean Democrat and did so in the gubernatorial race this year. Rural Georgia, apart from a band of counties west of Albany and south of Columbus and a few counties in eastern middle Georgia, were generally easy pick-ups for Brian Kemp. Another takeaway from this election is just how politically involved we’ve become. Georgians turned out to vote in numbers that rivaled the 2016 presidential elections, with more than half of registered voters casting a ballot. We can likely count on the trend of political engagement to continue into 2020. Written by Robert Davison, Copy Editor. Photo courtesy of PBS.